5 Ways to Increase Productivity by scheduling and make plans with proper concentration and take short breaks and cup of coffee also use technology like CCTV cameras and computer monitoring software. How many times have you planned your routine activities in order to get everything done? At the end of the day am quite sure you are ended up in the mess. You were not able to perform all of your activities properly according to your schedule. This happens very often that no matter what type of our intentions are, we don’t succeed what we have planned over and over again. It is obvious; it is very tough and hectic job to do to increase our productivity if we are not serious to manage our time properly. However, on a serious note we can still increase output in different ways: put in more hours, or work wisely. I know which way I need to choose. The orthodox style of working is changing and a bit has changed. The standard type of working properly is based on 9 to 5. But neither it has adopted properly and nor has ignored at workplaces. As the career coach, I have helped out young executives that usually work 12-15 hours in a single day and employees who work more than enough. No matter how much you are full of energy, but you have to know how to manage 24 hours of a day to increase productivity. It does not make a difference if you are working as a freelancer, or corporate employer or worker and you are trying your best to tie you hectic schedule smartly. We are going to address you with 5 to increase your productivity. It is scientific fact that doesn’t set schedule for everything. You need to choose the activities that really require making up or scheduling. It happens a lot when we put a tough task aside because we are not confident fully to do that task in order to achieve it. It will not work in such a manner; you have to put your energy up to the mark while doing a task that requires attention, determination, and focus. So, make a plan to do the tough task when you are active fully that needs your complete attention and time. You will be less likely to get pulled off task. According to the research, it will take at least 26 minutes once you have interrupted while having a task at your work timings. If you view all the emails during the work time, you will never able to give a proper concentration to the work. To keep your energy level balanced, you need to take short breaks while doing a task. You will never get bored and never feel tired at all. Let’s you are doing a task which may contain more than a 90 minutes, you need to take 15 minutes of break. This will really keep your energy level up and you will keep going until and unless you have done with your task in a given period of time. When you are going to take a break after working more than 90 minutes on a task, grab a cup of coffee or make a personal call in order to divert your mind. People do multitasking, but it is not possible for humans, Earl K. Miller a neuroscience professor at Institute of learning and Memory at MIT said that. We often do things at the same time such talking on the phone with friends, having a cup of tea and indicating our employees do this and that. You have to apply your complete focus on a single to get the job done in a proper and healthy way rather than doing multiple things and the end result will be zero. While at your work, use of technology will really help you out to perform hectic things in an easy way such as using Microsoft office, use of Dropbox to save dozens of files and others. However, if you are an employer and you have to keep an eye on your employee’s activities. Then there is no need to visit your employee’s section after a couple of minutes over and over again. You can use technology such as CCTV cameras and computer monitoring software. It will help you out to capture screenshots of the computer desktop screen that updated you about employee’s activities and further employees always stay alert and active. Ultimately, the productivity will increase. 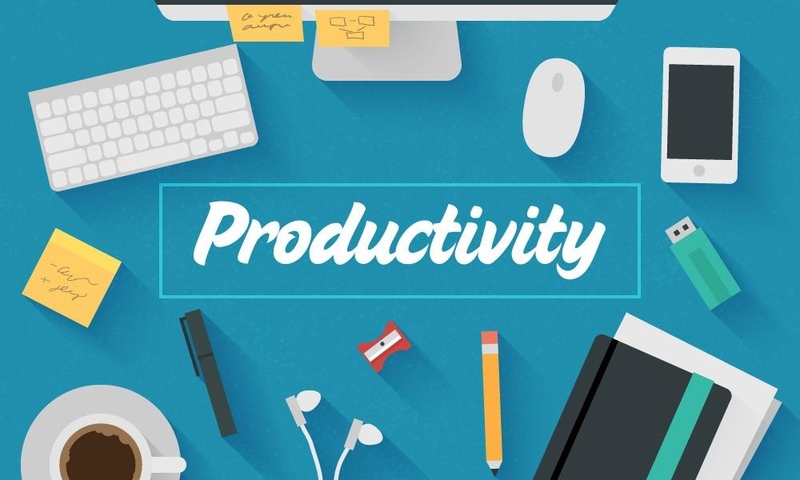 Use all above-mentioned tips and tricks in order to improve productivity and this will really help you out to manage your work properly.